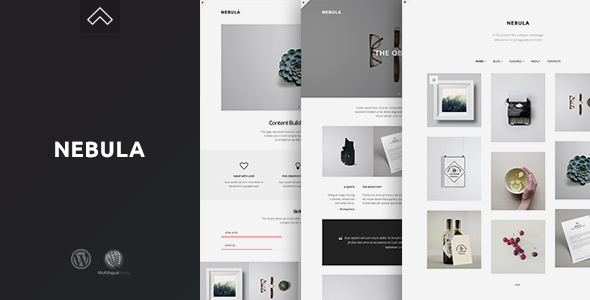 With Nebula you will not need to worry about your work not being seen, because your website is taking too much attention. Minimal and clean design of Nebula will solve this issue for you. It is designed around the content, making sure that your content, projects and articles are the dominant elements on the page. You will find that the plugins included with the theme, and the theme itself, are doing just that. You will get a content builder plugin with a user friendly and intuitive UI, a social icons plugin to help you stay connected, and also another plugin to allow your visitors to like and share your posts.